How I make money as a stay at home mom after leaving a high paying job and living with less. It is possible and you are going to learn how today. This year it will be five years since I walked away from my career and took on a new adventure, I became a stay at home mom with no idea of how it was going to turn out. My stay at home mom story and how it has changed me as a mom, wife, daughter, and has made me money that I never thought would be possible. I took on this home adventure with no idea of what I was doing. I knew I wanted to be a stay at home mom and we worked so hard to pay off my debt and save money. Walking away from my job was not as hard as I thought to be honest but it was not knowing how it was going to turn out that kind of scared me. With crazy planning and a new perspective on life I was able to take on a new adventure, and to this day I have no regret! I was able to walk away from my job for over 15 years and live with less and most importantly, BE CONTENT! But the truth was that the content part came later because no one tells you the reality of becoming a stay at home mom and you will learn more about this then. In our mind we have this fairy tale picture of what being a stay at home mom is but the reality is that no stay at home mom is the same and this mean that no home adventure is the same either! So why did I leave my good paying job in the first place? I was extremely unhappy with my job and utterly miserable. The company I worked for was making lots of changes. I was pregnant with my second child, and after many years, I felt like the company I worked for owned me. Fearing that I would lose my job was an everyday thing! Can you relate so far? My career was my life! My schedule was never the same. I barely had time to spend with my family. I was working over 60 hours a week. I missed important events with my daughter, and I was turning into a miserable person. Until one day I decided I had enough. Seeing close friend die due to stress was an eye-opener for me! Dying due to my job and leaving my kids without a mom was just not what I wanted and I needed to make a chance for the better. No just for me but for my family as well. I decided that I was going to pay my debts, save as much money as possible and take control of my life. I needed to be happy, so my family could be happy. Working for a company for so many years can change you and this is a fact. As the years continued to pass, and I continued to work, I became very cynical and moody. My job was consuming my life. My social life was non-existent. I lost contact with friends because I wasn't able to return phone calls or attend events. As a single mom, I wanted to show my daughter I was a hard worker and responsible, and of course, I wanted to support my family! I worked a lot of hours. I missed a lot of important life events. I wanted to be successful in my career. Unfortunately, my career was ruining my life, and that was the honest truth. I complained about my job to everyone. Did I mention I was very moody and very impatient? Every time I came home from work I felt like I wasn't accomplishing enough at work. My job became very stressful and sent me into a depression. Co-workers we're feeling the same struggles I was. I met my now husband years ago while working at a store an hour away from home. I genuinely don't know how he could stand me back then! I was a mess! Time flew by, and I became pregnant with our first child. That was my wake-up call! During my pregnancy, I became very ill. To the point where I was dealing with high blood pressure and put on bed rest. I could stay at my job and be miserable. I needed a change and start enjoying life with my family. My negative attitude was not only affecting me but my family as well. I decided that money and my career could wait. I needed to do what made me happy. What made me happy was to live life and enjoy my family. Raises and bonuses were not doing it. I worked there for many years, and the company decided that salary caps we're going to follow now. Every day we feared for our jobs. It was not a healthy situation, and I needed a change. “Just in case day” was our definition of when my job was no longer available. Now the story gets a bit more challenging, and you are going to find out why. Around this time in our lives, my then husband lost his job due to health issues. Since my job was so demanding, we decided that he would stay at home with the children while I work since I made more. You see, my husband was a stay at home dad, and my income was supporting our family. So how did I walk away from my job? This is not as easy as it sounds but it worked for us my friends, and you are going to learn what exactly we did to be able to leave my job. I gathered all my bills and wrote them down. We started budgeting. I began to search the internet for ways to pay my debts. I was lucky that I didn't have a lot of debt and that was maybe because I was too busy working to spend money! I found motivational information that helped me through this journey. 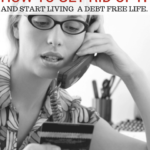 Within a year, I paid off all my credit card debts, and my saving started to grow. Our lives changed, the way we view life changed. My husband worked on fixing computers to bring in extra money. EVERY penny we made went towards debt or savings! We worked hard and to be frank; it wasn’t always easy. I didn't know when the “just in case day” would come, but I knew I would be ready. And that day came sooner than I expected. I became pregnant with my 3rd child and went on maternity leave and had my baby boy. My husband decided it was time for him to get back to work full time, so he took the opportunity to start looking for work after the baby was born. Five days before returning to work, I was informed that I would be working overnights. This move didn't surprise me. It's a move the company does to salaried managers when they want to punish them. I had five days to find a babysitter! With an eight-week-old baby, how was I going to care for him if I worked 12.5 hours a night, and rest during the day? The “just in case day” had indeed arrived. We sat down and wrote down our pros and cons of me working overnights for an entire year. If I let this go and stayed, I would be doing more damage to my family. It will never change. I knew it was time to part ways with the company I invested fifteen years of my life. I wanted to be the mother my children deserved. I wanted to be happy! I reported to work and emailed my resignation letter. This decision was not easy for me. I worked for this company for nearly 15 years. I was going to give up an excellent income, and I didn’t have any college education. We decided to make a life decision and take back control of our life! The decision didn't bother me to be honest. I received a phone call from my H.R Director concerning my resignation. He informed that working overnight was part of my job description, and he was correct. I had worked overnights many times, and for many years throughout my years with the company. I loved working overnights, but I informed him that the lack of notice left me no choice but to resign. My children had no babysitter, and I couldn't perform the job. He asked me if I could wait until after store inventory was completed since the store was going to need me. The company didn't care that I didn't have enough time to find proper sitters for my children. After a minute of going back and forth he stopped speaking and said, “You know, on a personal note, I admire you for what you are doing, and I don't blame you. My wife did the same thing for our son. If you ever need a position call me”. With that, he accepted my resignation. A few months into my new role as a stay at home mom I realized that I missed my job, and I was missing something. I had created some bad habits that no one ever tells you when you become a stay at home mom. So, what were these stay at home mom terrible habits? I grew up with these beliefs that I need to put my kid and family first! That by doing this it would defy me as a great mom. As moms we are givers, and we put ourselves last. I would go shopping I would shop for everyone else but myself. A sense of guilt would come upon me because I wanted to treat myself with something. I felt guilty because I wanted to pamper myself! What I learned is that it is OK to take care of me first! A happy mommy equals a happy family and moms we need to cut ourselves a break. As the months I became aware that I was no longer the money maker of the family. The thought that I was not financially contributing to my family bothers me to no end. I worked all my life, and as a single mom, this was another life change I didn’t think about. Many moms feel this way, and sometimes society even makes us think this way. I seriously will admit it hurt my feelings and my pride. Then, I kick myself for feeling this way. I do contribute to our family. Not financially, but I do. Just like my husband contributed to our family when I worked and he stayed home with the children. I never once questioned that and was grateful that he was able to do this for our family. Without him, we will not be where we are now. Not once did he ever mentioned anything about me not contributing at all. Not everything is about money or about what role do I play in this family. Moms if you ever feel like this then this is what you need to do. When you start feeling like this, look around and go back over what you have accomplished. Money or material things don’t defy YOU as a mom is how what doesn’t cost a dime! How to make the best of your stay at home mom status. If you are a stay at home and you don’t like it. Yes, not everyone mom loves to be a stay at home mom. Not every stay at home mom fills joy being at home. No every stay at home mom is not a stay at home mom by choice. Illness or taking care of special needs children require many of us moms to stay at home. I’m a mom of 2 little special needs children. To find your joy in your home adventure, you need to realize what you love. For me, I decided to start a blog that turned out to be the best thing I’ve ever done. For myself and financially. I also get to work part-time as a companion for a special needs young man that brings me joy. You see this part-time job doesn’t pay much and the hours are meager but it is my time to bring joy to this young man, and I LOVE IT! My financial journey plays a big part for a reason I am enjoying my home adventure and being frank, it can help you too. 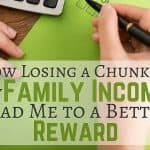 I found the joy I needed by making money from home and being able to available to my kids. If you are a stay at home mom looking to make your own money adventure as I did then keep reading! If you enjoy kids why not babysit! You might even be a babysitter but check your local laws regarding this because some places require specific certifications. You might think this can’t lead up to a real income, but it can. Working retail, I met many people who simply sold things online and were making good money. Start planning the best family yard sale and get rid of unwanted items and get paid for it. There are jobs you can do online if you have the right skills, and you can earn some quick cash this way with no commitment to a long-term contract. You could write content, help as a virtual assistant, do graphics or other design, or do online tasks for people. Below is a link to 10 part-time jobs that will be beneficial to some of you. Starting a blog was a path I took and honestly one that I genuinely enjoy and open so many doors for a mom with no college degree and a mom of 4. 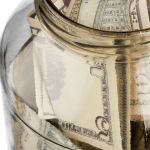 My blog income keeps us debt free, and it continues to grow, with little investment. I make my money online with this blog, and you can learn all about making money from a blog and starting a blog in 5 minutes here. You can also learn how to start a blog with as little as no money when you click the link below. You could be a pet sitter or a house sitter. Maybe you could walk dogs. There is often a demand for this service in many areas. You don’t have to do this as a full-time gig. Many people just need a sitter while they go on vacation, get a day away, or during an emergency. Do you have a talent or are you crafty? You could make crafts or any other handmade items and then sell them for extra money on the side. There are many different ways to do this and the different places you can sell. You could sell online with sites like Etsy.com, or you could sell at local flea markets or even open your online shop. Fast forward now to 5 years, and I can tell you this, I am happy, and I am a new person. I cam to the conclusion that being a stay at home mom is a different adventure for everyone. You don’t have to like or you might, but for the rest of us that need to find something meaningful maybe working from home or making extra cash is what they need. The reality is that sometimes finances are a reality for many of us and stay at home moms tend to deal and stress over this more. I decided to make money from home and continue to do so, but I also decided that I was going to take care of me as well. Remember that it is essential for you to be happy without feeling guilty. Don’t let anyone tell you to put yourself last. My stay at home mom story is mine, and it will be different from many of you but know that if you are looking to make your own home adventure and want to earn money, go for it! Your turn: Share you us your stay at home mom story and what you have learned as a person? Did it change you? Did you create your own fun home adventure? Share it with us. Britnee, GOOD FOR YOU! I did the same thing 10 years ago, and even with all of our money mistakes (we didn’t start managing money properly until January of this year) I wouldn’t change a thing. Kids grow up SO fast, and enjoying your time with them (and them enjoying you as well) is of the utmost importance. Great job on following your heart, girl. It’s well worth it, that’s for sure. Thank you, Laurie. Your comment means a lot to me. I can’t even believe my baby is going to be 1 next month! That’s awesome Britnee. I am so glad you’ve paved the road to happiness and followed it! Laurie’s right – kids grow up so fast. My oldest is going to be 5 in December and I just cannot believe it! !